Pedro Garcias Yorick mules are a great example of how the right things put together can create new classics. This minimalistic Yoric slip-on shoe is inspired by the original babouche shoes. Architectual lines and serrated sole in matching color creates a modern and fresh impression. Shoes are made from dark olive green full grain suede. 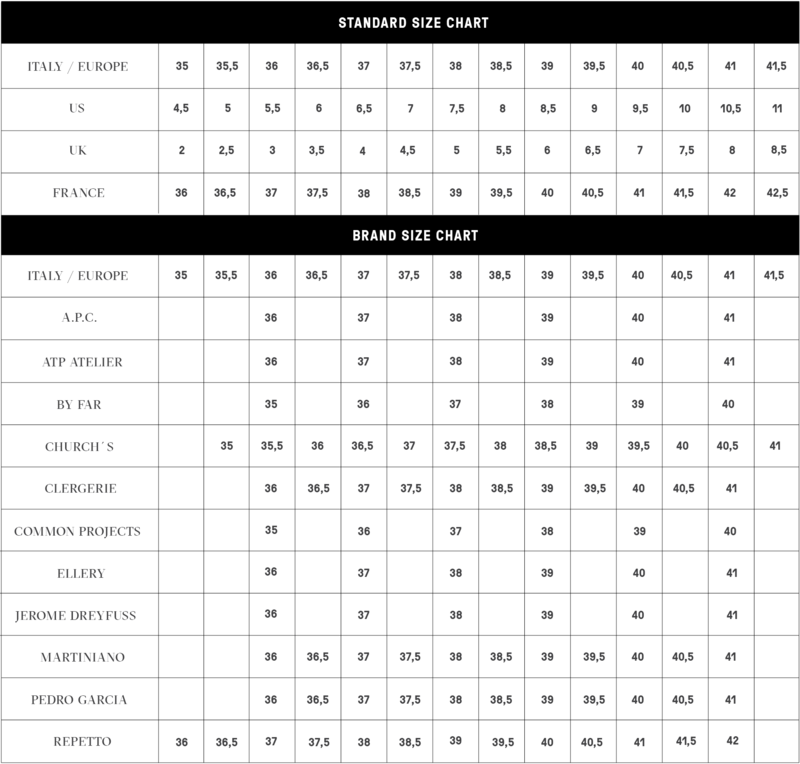 This refers to that the suede is made from the upper part of the hide so that the top of the leathers own grain remains. This enables the shoes can be left unlined thus the leathers own grain creates a comfortable. Read more.. Shoes are made from dark olive green full grain suede. This refers to that the suede is made from the upper part of the hide so that the top of the leathers own grain remains. This enables the shoes can be left unlined thus the leathers own grain creates a comfortable smooth feeling inside of the shoe. Venetian vamp, open back and almond toe. Raw finished edges. Leather midsole. 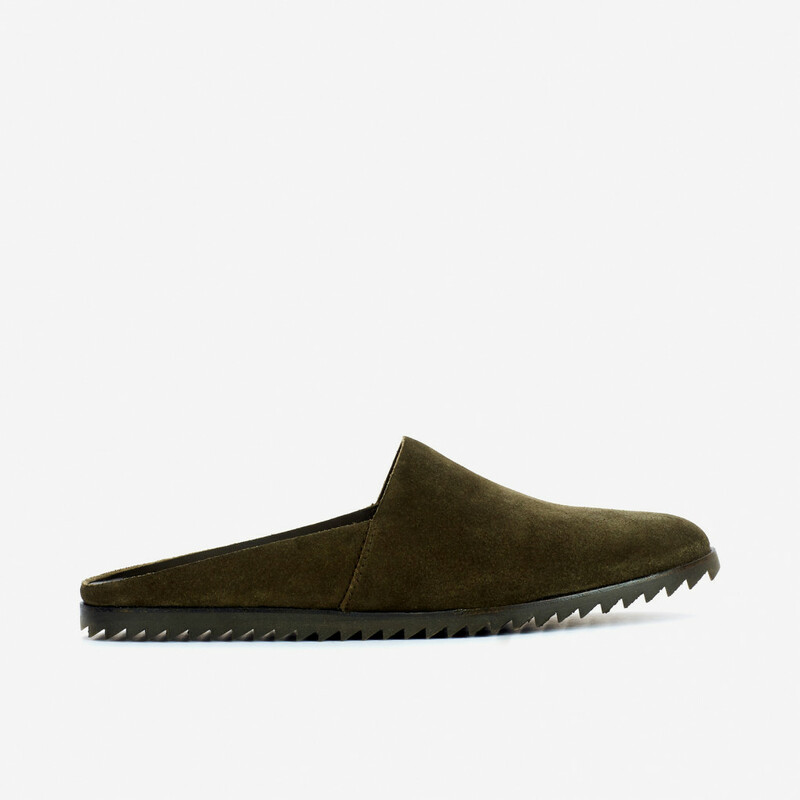 1 x Yorick Suede Mules was added to your shopping bag. 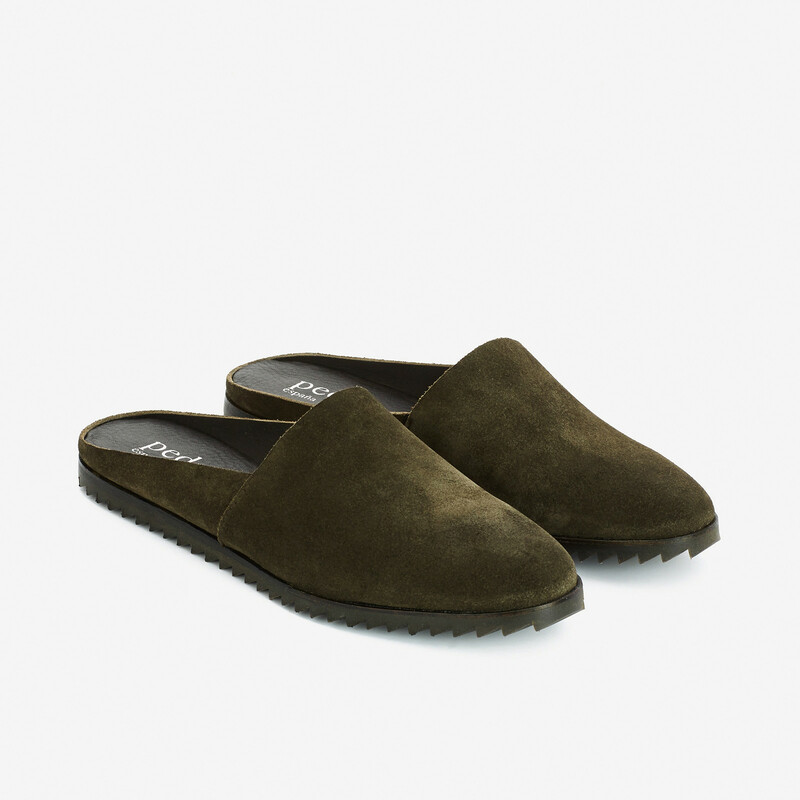 1 x Yorick Suede Mules was added to your wishlist.